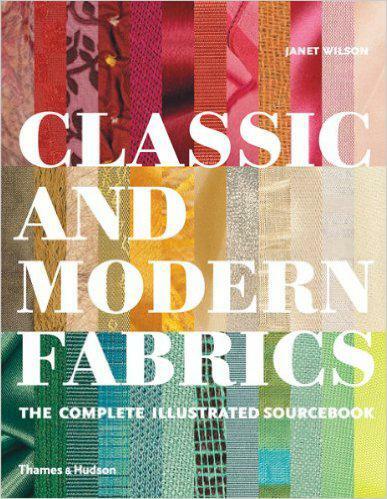 Classic and Modern Fabrics is the definitive reference guide to all the major types of fabric in circulation today. In clear and succinct language, the author describes over 600 examples, from classic tweeds to state-of-the-art nano fabrics. Ease of recognition is the books primary aim: each entry is written in an easy-to-follow format, including a definition, notes on structure, and a list of the fabrics principal applications and almost all examples are accompanied by a photograph and/or diagram designed to show defining characteristics at a glance. In addition, the text contains a wealth of detail covering patterns, history, and obsolete terms that the reader might still encounter. Combined with a comprehensive reference section, this unique work will prove itself invaluable to a whole range of users, from design students, teachers, designers and historians to manufacturers, buyers and merchandisers worldwide.